My grandmother passed away last fall, and we are just starting the process of sorting through a lifetime of collected and cherished things. Seeing the way she kept and preserved everything has been very eye-opening. What a different world it was back then! And what a world of waste we live in now. We so often buy new things not out of need but out of want. I am definitely bad like that. But I feel inspired by her to treasure the things I already own a little more, and to try to buy things that just may last a lifetime. I decided to keep a few of her little trinkets, mostly for the kitchen... a pie plate, some bread pans, things that will always remind me of her. I also found some amazing little vintage treasures... like these antique mason jars with thick glass lids, which I've decided to use as candleholders for my balcony. 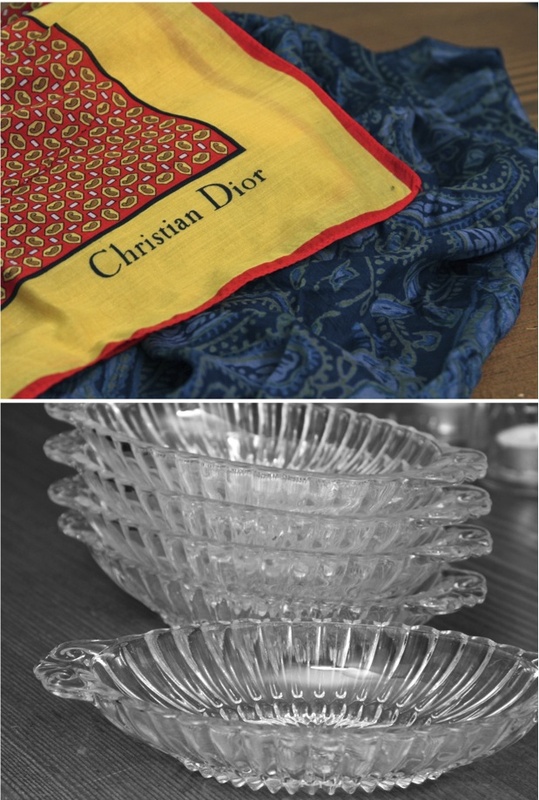 Some classic silk scarves, including an original vintage Dior! And a set of "banana split bowls" that my grandmother received as a wedding present. Such a sweet post. I'm sure your granny will be very happy to know you are using her things all the while being reminded of her. Love the mason jars, they are so lovely with tealights in. What special treasures, & what a lovely tribute to your grandmother! My most valued possessions are those that once belonged to my "Nanny". Thank you for stoping by my blog, I am happy to have found you. what great finds! i have somethings like that of my grandparents too, my favourites are a scarf of my grandmas and my grandpas watch, i like to wear both and think of them. its nice going through the things they kept and treasured! I'm sorry to hear about your loss. Was this your austrian grandmother you told me once? Because here in Austria the "banana split bowls" are always in use in summertime. Great idea for the tea lights. I can't wait for a post on the banana split! ooo king crown jars are so pretty! I love them so much jeff and i are using them for the vases at the wedding!! my Nana is the same way as yours! She still has a 60 years old dryer that works great! So inspiring how there generation made things last! Such a sweet post by such a sweet little lady! I have so many things in my home that are treasures from my grandparents! It is fun to see what your treasures are! It makes me so happy to look around my house and see things that remind me of loved ones. I'm very sorry about your loss. It's never easy losing a grandparent. I have treasures from my grandparents, too and I cherish them all. I love the jars as candleholders, I may just have to try that out. 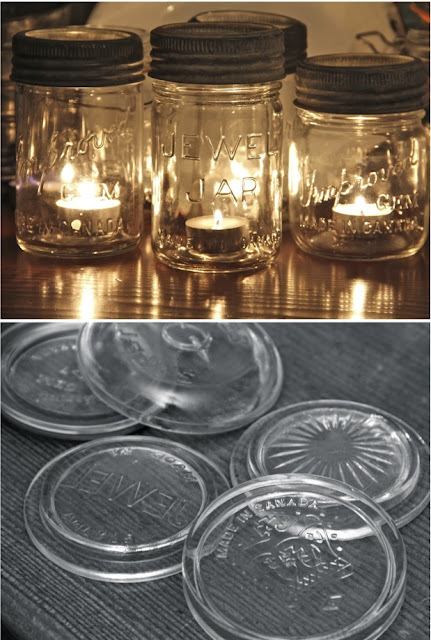 those are really the perfect treasures :) I use a mason jar for candles on my table but i love the idea for the balcony! What wonderful little treasures! My most cherished things come from those I've loved and lost. It feels like they live on through the memories these things bring us. what lovely treasures- I love the mason jars- I have never seen the glass lid ones.